Photo Booths capture the spirit of the holidays with beautiful photos of family, friends and colleagues. Photo booths are a wonderful way to add fun and excitement for any holiday or end of the year party. 2014 proved to be a stellar year for our rental team. 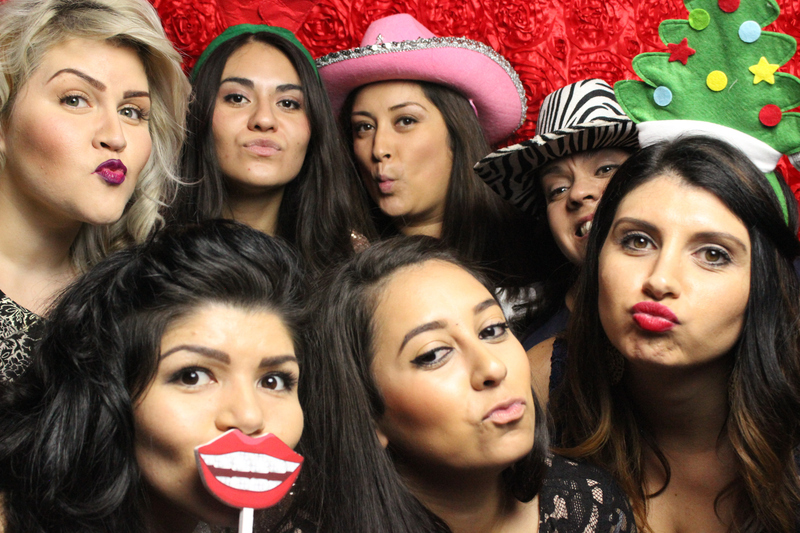 We have been busy throughout the Inland Empire serving up photo booth fun and holiday hilarity. We truly enjoyed mingling with corporations, families and communities during their celebrations. We have captured many first Christmas shots for families celebrating the new arrival of a child. These photos will be treasured by them for a lifetime. We have also captured retirees attending their last corporate holiday party. That's why we believe that photo booths are more than silly hats and picture strips. These memories are captured during happy times and can be remember long after the moments are gone. This is why we make sure each photo is available for digital download just in case you capture a precious moment in your photo strip. In between all the fun, we have enjoyed hearing the stories of family and business traditions that have been carried of for many years. One rental particularly heartwarming, was a corporation that made sure every child at the event left with a hand wrapped present. An entire room was dedicated to gift giving for the children of the corporation's employees. We were moved by the spirit of family among coworkers, bosses and staff. We created a scrapbook with all photo strips signed by all the children thanking them and wishing them Happy Holidays.Thank you again, to all that invited us into their celebrations. You have made our year Merry and Bright! If you are looking to have a photo booth at your holiday party in 2015, be sure to contact us. We will answer any questions you may have and guarantee that your employees, family or friends will have the time of their life while capturing the spirit of your end-of-the-year event.